Twenty miles west of Traverse City and 12 miles south of the Village of Empire, Esch Road Beach looks out on the impressive aqua and deep blue waters of Lake Michigan's Platte Bay. Picnic facilities. 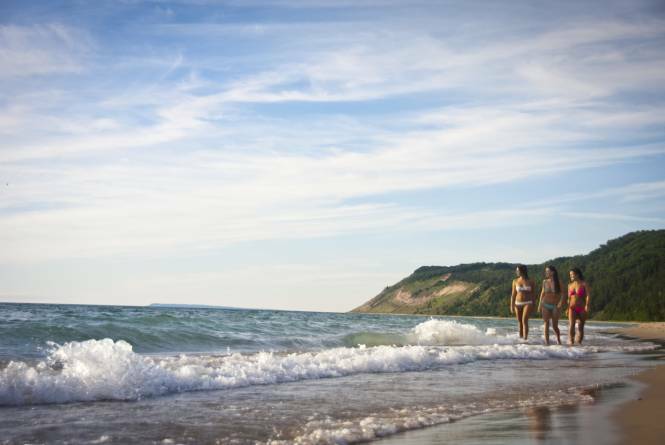 Leashed pets are allowed on this beach from Esch Road north to the Lakeshore boundary (south of Empire). A Park Pass is required.